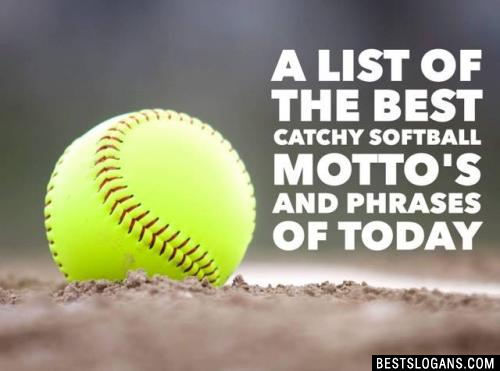 41 new entries added to softball slogans, that include pictures. 1. 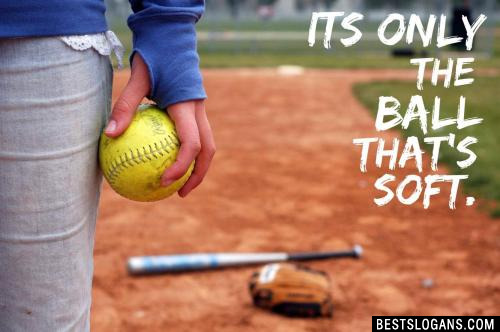 Don't Remember the Days, Remember the Softball Moments. A softball game is only seven innings instead of the nine innings in a baseball game. When playing softball the ball must be pitched underhand. Softball has been referred to as ladies' baseball because it was generally played by women. 1 Don't Remember the Days, Remember the Softball Moments. Reserve your Ego. 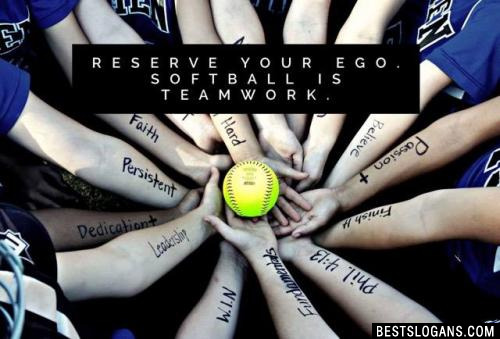 Softball is Teamwork. 3 Save the drama for your mama, we're here to play! 5 There's nothing soft about it, it just leaves a bigger bruise. 6 We don't wear cups, we win them. 7 Throw, hit, catch, smile repeat. 8 There is no place like home base. It's only the ball that's soft. 10 Don't-cha wish your girlfriend could play like me? 11 We want a catcher not a back scratcher. 12 Softball...It's the same as baseball but with bigger balls. 13 Cinderella can have her glass slipper, this princess wears cleats. 14 Real woman have great curvesand fastballs and change-ups. 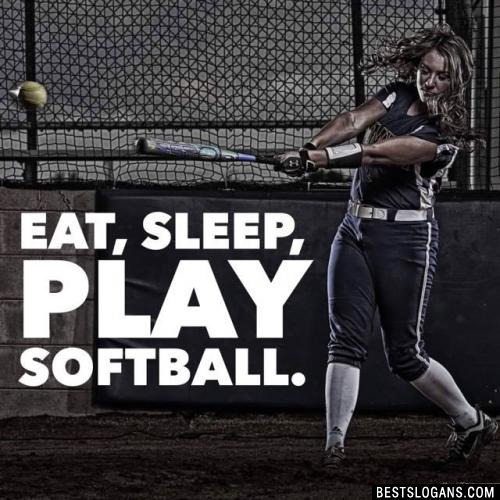 15 If baseball is life, softball is heaven. 16 I play hard with softballs. 17 Remember when hitting like a girl was a bad thing? 18 Softball: Blood, sweat, and tears, and you still want more. 19 Don't let the fear of striking out keep you away from playing the game. 20 Softball is life, the rest is just details. Can you think of a good Softball Slogans we're missing? Or come up with a clever one of your own. Please share below.